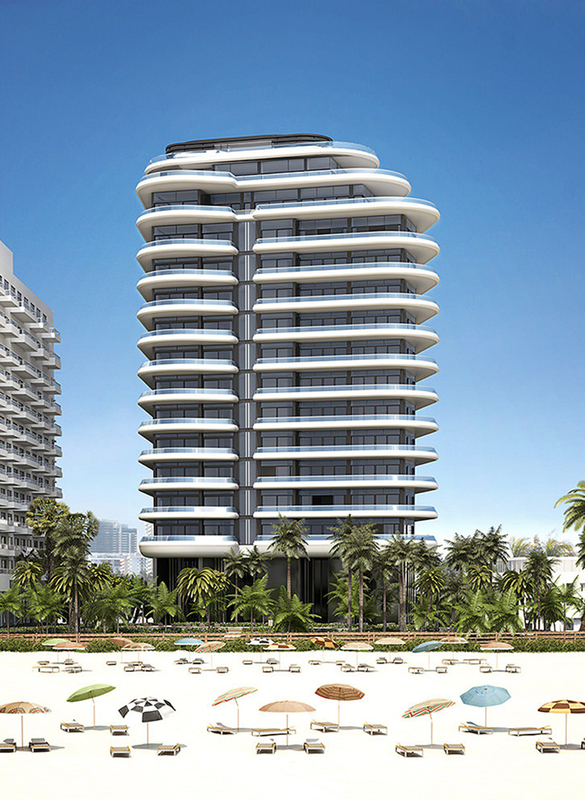 Situated on the widest stretch of white sand in all of Miami Beach, FAENA HOUSE is an extraordinary, 18-story luxury condominium– bounded by the Atlantic Ocean to the east and Indian Creek to the west. 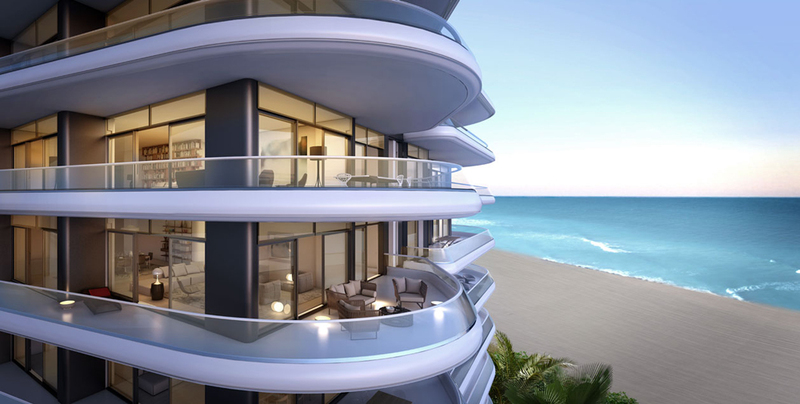 Constructed to exist in perfect harmony with their setting, these oceanfront residences are meticulously, like a ship gracefully sailing on the breeze into the future. 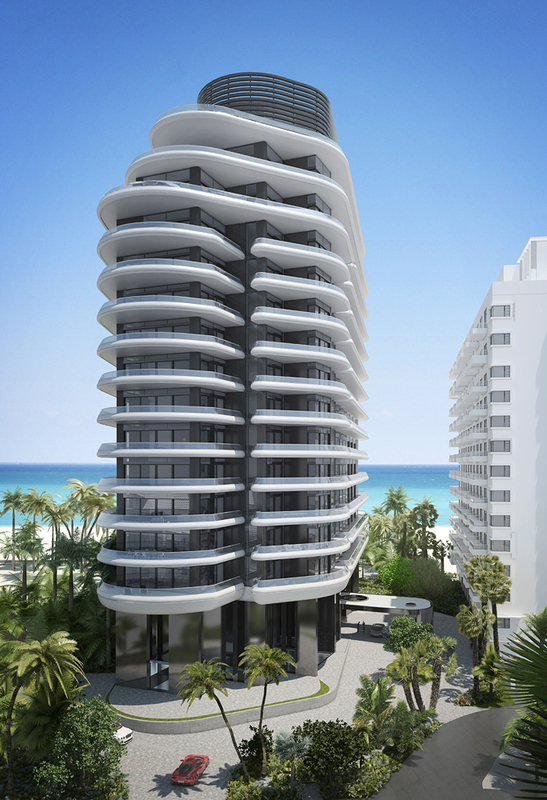 FAENA HOUSE is a vision of true indoor/outdoor living – ingeniously designed and engineered, and meticulously constructed by internationally recognized and renowned architects Foster+Partners but Imagined by Alan Faena. 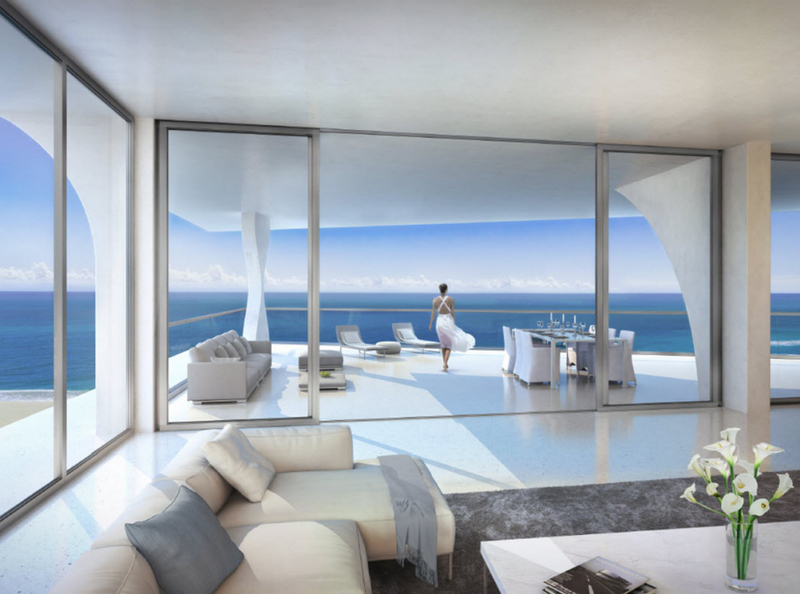 Breakthrough architectural advances allow panoramic views from ocean to bay with glass walls that open extraordinarily wide to virtually eliminate a division between indoors and out. 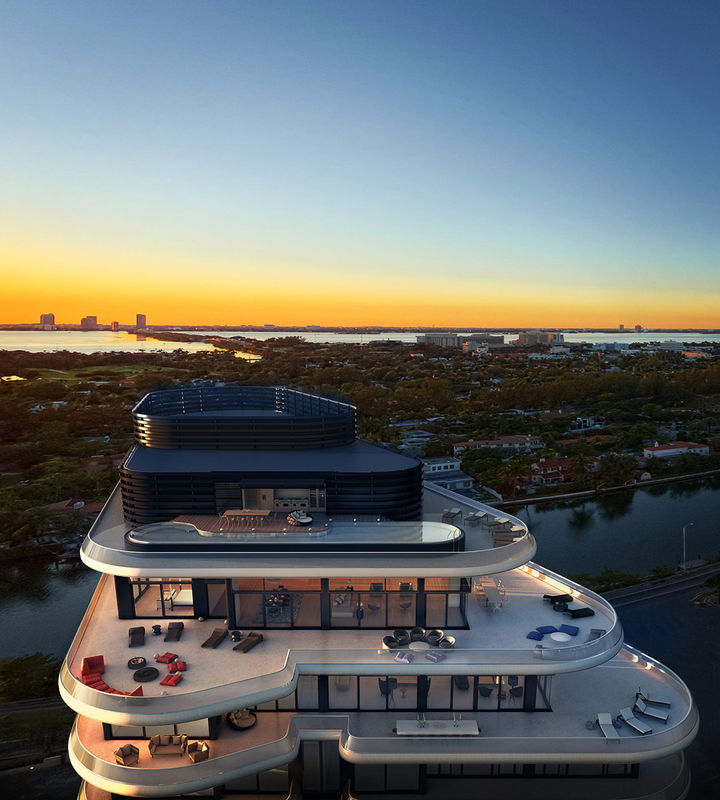 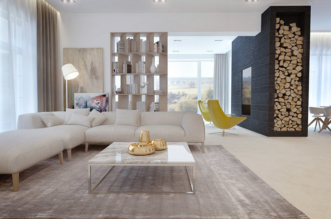 FAENA HOUSE offers one to five bedrooms fully finished residences with sleek and impeccably detailed interiors, designed or selected by Foster+Partners. 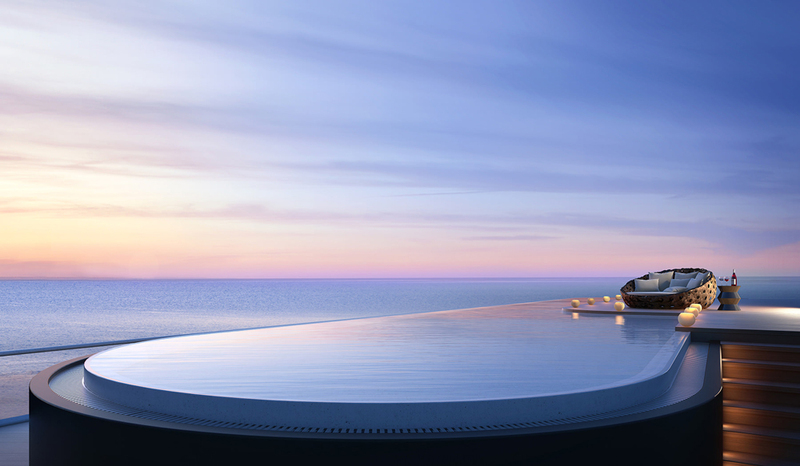 The Faena House full-floor penthouse features a private outdoor pool and breathtaking 360 degree views. 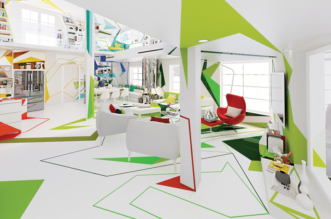 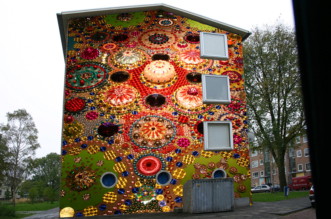 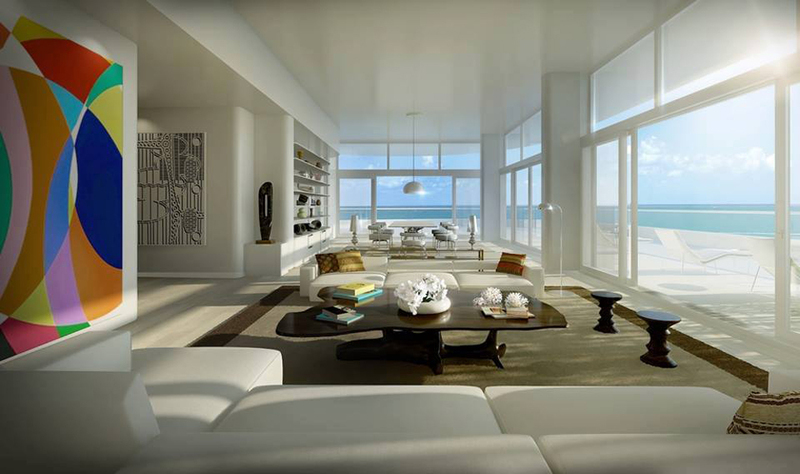 Designers began a conversation and immediately hit upon the nature of indoor/outdoor living. 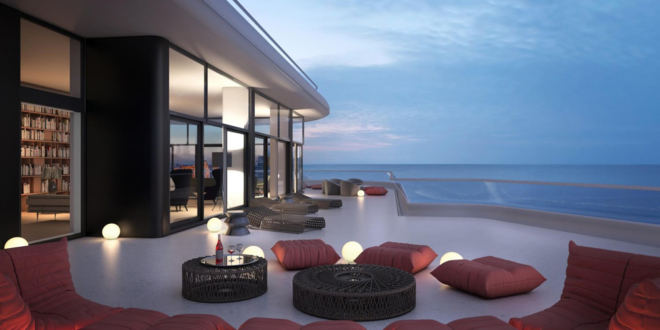 In South America, this lifestyle is anchored around an outdoor terrace called the alero, which quickly became the center point of the project. 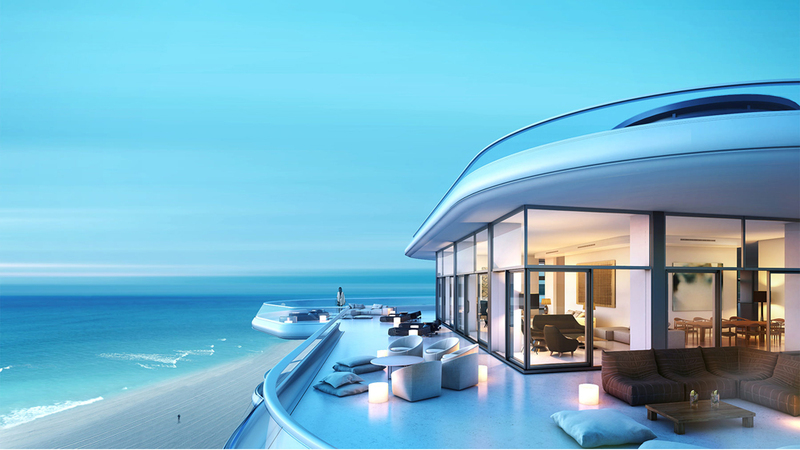 They loved the idea of starting each day with a morning walk along the alero to the kitchen for coffee and on to the terrace to read the paper, so designers seized upon the concept of verandahs in the sky—and clearly took it very literally. 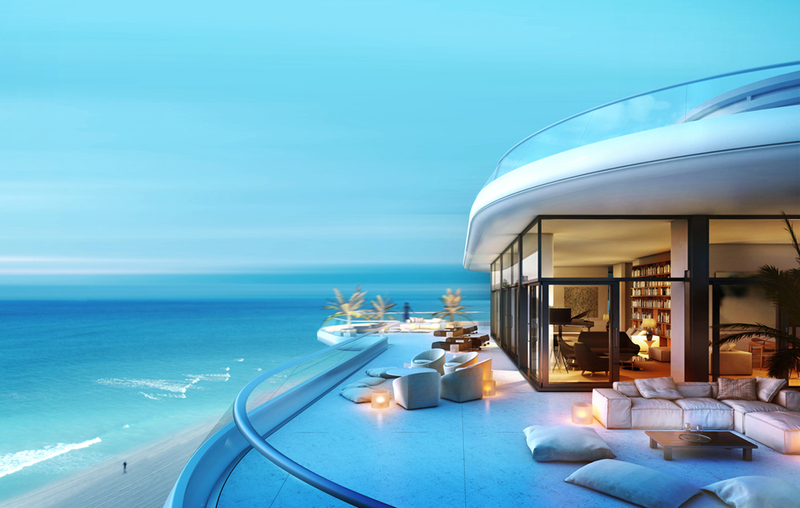 Each home features a majestic outdoor living terrace that wraps around its interior. 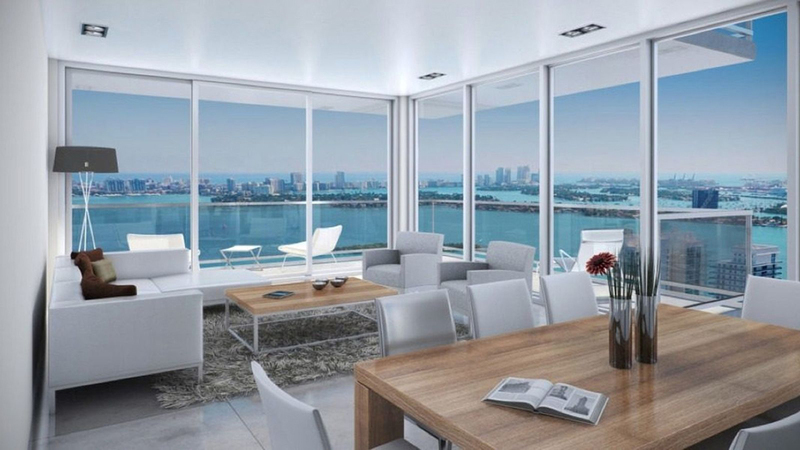 Custom designed by Foster+Partners and engineered by Permasteelisa, the Aleros dissolve the boundary between inside and outside through floor-to-ceiling window wall and sliding door systems, opening wide in some residences. 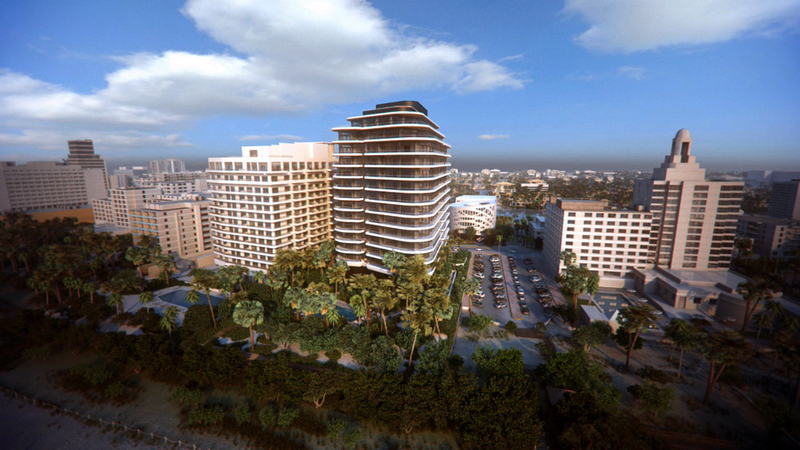 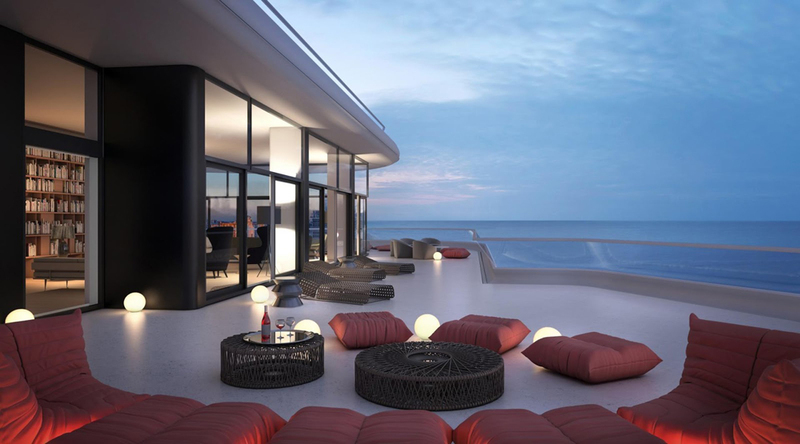 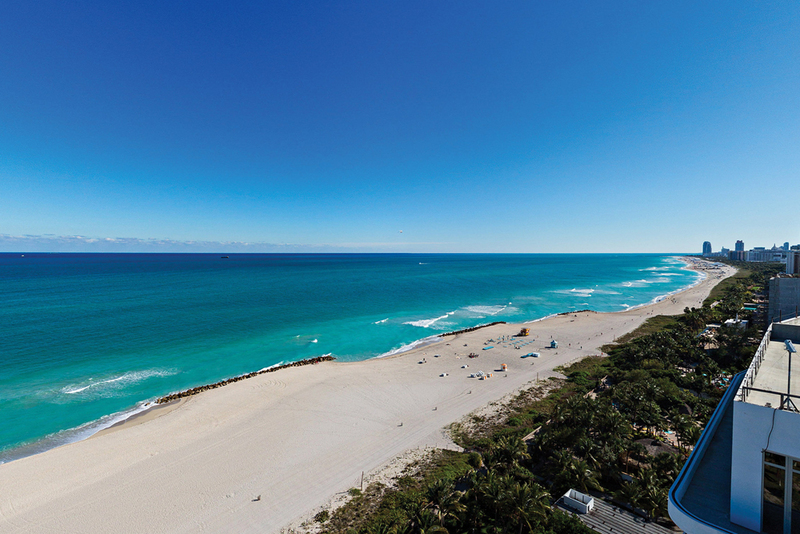 Faena House offers unparalleled views, the Atlantic Ocean to the east, Indian Creek and Biscayne Bay to the west and Downtown Miami to the south, combination that gives beautiful feeling for living in this extraordinary condominium.